Specially developed landing pages/teasers/banners with the slogan-rotation system automatically picks landing page/teasers/banners that suites your traffic best, based on CTR and leads ratio data. What is the purpose of the rotator? 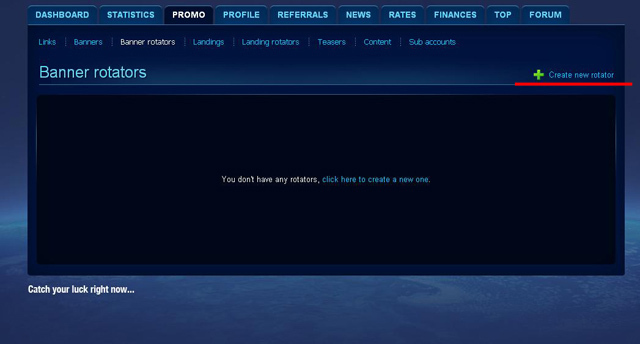 - Watch and analyse detailed statistics of each rotator. 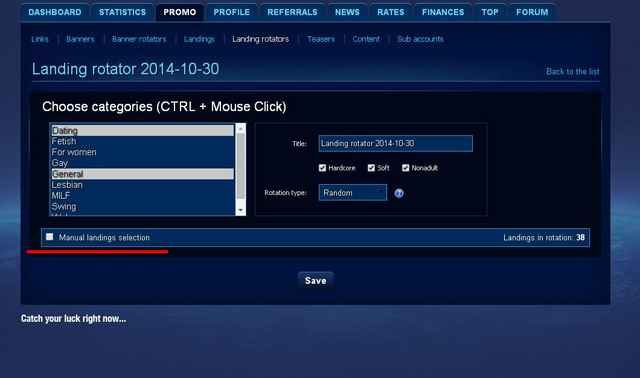 If you need manual landing selection, simply put mark in the “Manual landing selection” checkbox. When you're done updating your settings, click “Create” button.